The most known waterfall that attracts around 30 million people a year! The captivating site was formed as a result of glacier movement nearly 10,000 years ago. 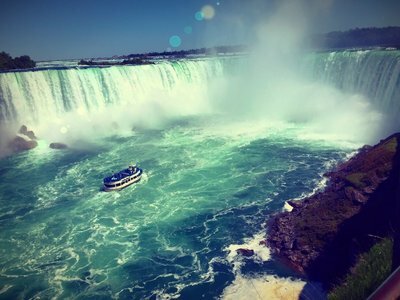 the goegeous Hornblower Niagara Cruises boat you see in the picture, is Canada's #1 visitor experience. This is a must-see Canadian attraction!